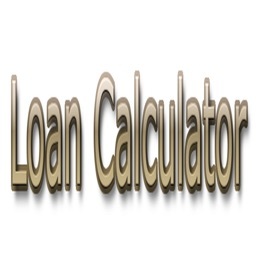 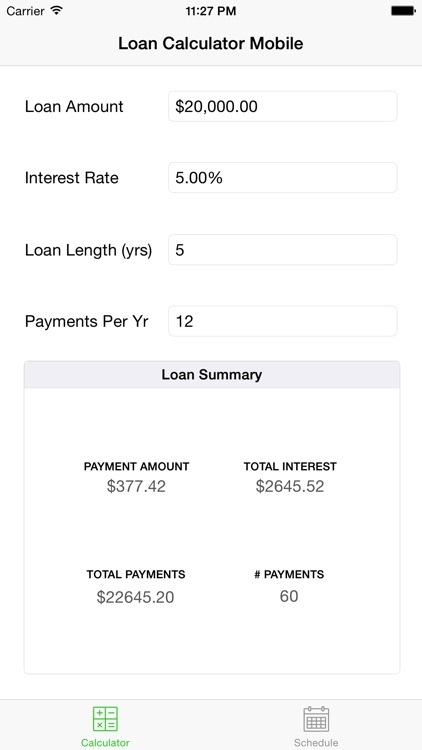 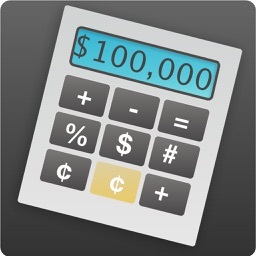 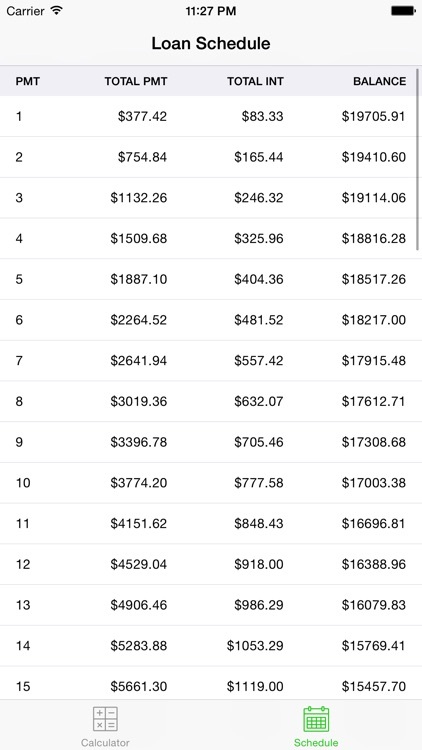 Easy to use loan calculator with built-in amortization table. 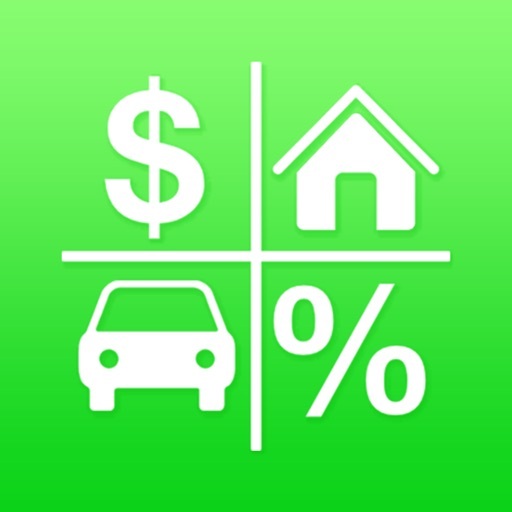 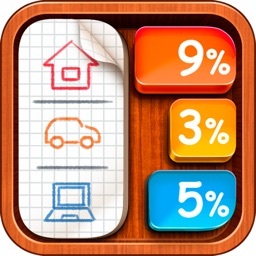 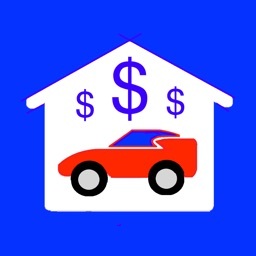 Great for figuring out monthly payment for car loan or home mortgage. 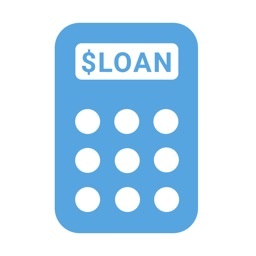 Provides you with total loan costs and a payment schedule.